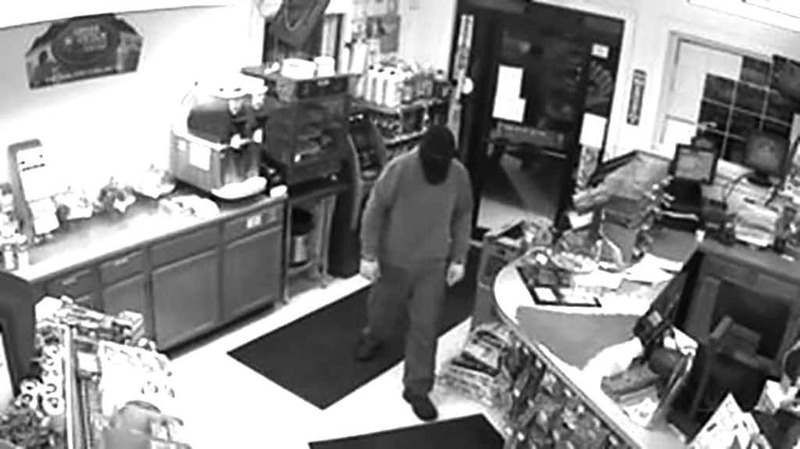 WALLINGFORD—State police are looking for an unidentified man wanted for robbing Mac’s Convenience Store in East Wallingford last week. Police reported that on Wednesday evening, Jan. 11, a lone male entered the store and demanded money. The suspect was wearing outer clothing that included bluejeans, black boots, a blue sweatshirt and a black ski mask (see security camera photo). The suspect was described as approximately 6 feet tall with a medium build. He did not display a weapon at any time. He exited the store and fled on foot toward Vermont Route 140, where it is believed he was picked up by a waiting vehicle. Anyone with any information is asked to contact the Vermont State Police Rutland Barracks at (802) 773-9101.